Home / NEWS / Disney’s Pinocchio Signature Collection Arrives on Digital HD Jan. 10 and Blu-ray Jan. 31! 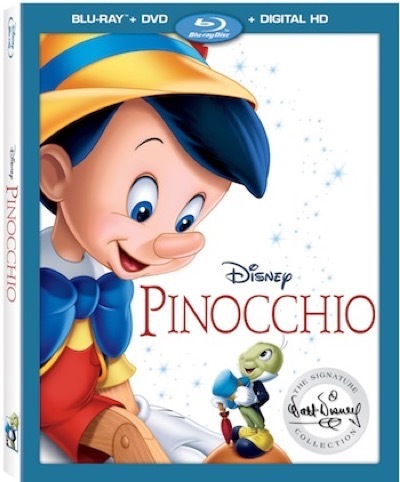 Disney’s Pinocchio Signature Collection Arrives on Digital HD Jan. 10 and Blu-ray Jan. 31! D23 members received the exclusive news and first look at the new “Pinocchio” trailer! BURBANK, Calif., Nov. 21, 2016 — This weekend at D23’s Destination D: Amazing Adventures event at Walt Disney World Resort, Tyler Slater and Nicole Nalty announced the addition of Disney’s triumphant animated classic “Pinocchio” to the celebrated Walt Disney Signature Collection and gave members of D23: The Official Disney Fan Club the first look at the film’s all-new trailer. “Pinocchio,” which inspired the world to wish upon a star, arrives for the first time on Digital HD and Disney Movies Anywhere on Jan. 10, and on Blu-ray™ and DVD on Jan. 31 with hours of new and classic bonus features. “Pinocchio” is considered one of the greatest animated films ever made, with two Academy Awards® — for best original score and best original song “When You Wish Upon a Star” – and a rare 100% rating on Rotten Tomatoes. Now, it will delight a whole new generation of dreamers with its masterful animation, unforgettable characters and award-winning music. The Walt Disney Signature Collection release includes hours of classic bonus material and exclusive features including a reinvented rendition of “When You Wish Upon a Star” created and performed by music influencers from Disney’s Maker Studios; never-before-seen artwork from the film’s Pleasure Island sequence; archival recordings of Walt himself during “Pinocchio” production; and a recently restored and scored 1927 short featuring Oswald the Lucky Rabbit. “Pinocchio” tells the tale of wood-carver Geppetto’s beloved puppet who embarks on a thrilling quest – with faithful friend Jiminy Cricket – that tests his bravery, loyalty and honesty, all virtues he must learn to fulfill his heart’s desire: to become a real boy. D23 is the official Disney fan club named in honor of the year 1923, when Walt left Kansas City, headed for Hollywood and founded what would become the Disney Studios. D23 celebrates Disney’s stories, characters, songs, and experiences that have captured imaginations the world over, offering members behind-the-scenes exclusives, member events, discounts and special offers. Sneak Peak! Ash Vs Evil Dead Behind The Scenes First Look Video! DIG INTO THE WORLD OF ASH! 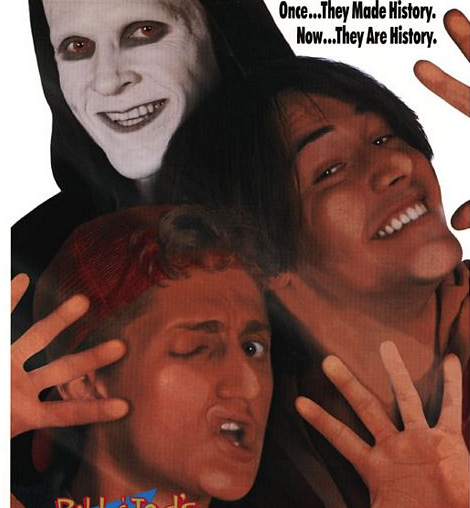 Keanu Reeves Drops An Update On Bill & Ted 3! San Dimas High School Football Rules! Whoa! 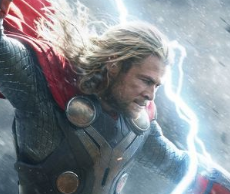 2 New Thor: The Dark World Individual Movie Posters Are Out! Chris Hemsworth! Tom Hiddleston! Marvel Goodness! Galaxy Quest The Series! Amazon Is Producing A Series Based On The 1999 Sigourney Weaver And Tim Allen Hit!